William Murphy is a vice president and senior wealth advisor for Tompkins Financial Advisors. He is responsible for working with current and potential clients to help them pursue their financial goals. In his role as an advisor, Bill provides guidance on appropriate investment strategies to address each client’s specific needs. This includes working toward building, protecting and preserving wealth throughout a client’s lifetime. Bill works closely with an internal investment committee and external professionals—such as attorneys and accountants—to provide a holistic approach for a client. He helps clients understand their investment portfolio, how it may change over time, and how it fits into their larger financial picture. 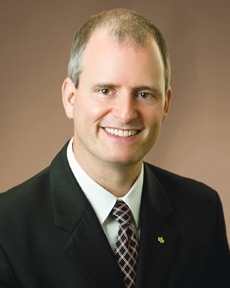 Bill believes in a commonsense approach to investment management and financial planning. Bill’s banking career began in 1989. His earlier positions as a personal banker, financial consultant, branch manager and mortgage officer have given him a wide range of experiences, adding value to the financial planning process. From 2004 until 2013, Bill was the program manager of a large credit union’s wealth management team, specializing in financial planning, retirement plan rollovers and inheritance solutions.